The latest big Overwatch tease is pointing towards April 11, known as the King’s Row Uprising and involving the robotic omnics. Talking to Jeff Kaplan today as part of a larger interview you’ll get to see tomorrow, we couldn’t help but ask what was going on. Here’s what he told us. 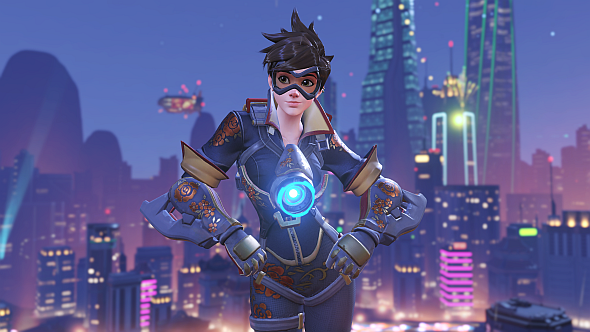 For everything else we know about the future of the game, check our Overwatch updates post. “We’ve heard the call that a lot of players want a non-real-world-tied event, meaning they want some sort of set event in the Overwatch world,” explains Kaplan, regarding reception to the large, seasonal events that have kept Overwatch on top these past few months. “The event is going to be something – when players see the event and play the event, I think they’ll see that we’ve been listening to their feedback,” he continues, confirming – as many have assumed – that there will be a playable element to the April 11 event. Likely, this will be a new mode, probably based around the teased ‘King’s Row Uprising’ as mentioned in ashort videotweeted yesterday by Blizzard’s Australia and NZ account. Finally, Kaplan gave a small tease to all the blue-skinned sniper fans out there: “I think Widowmaker players who have wanted a skin might be very happy very soon.” Earlier this year, he mentioned in his AMA that a legendary Widowmaker skin was “on the way” and “worth the wait” – not much longer now. Our full interview with Jeff Kaplan will be up tomorrow on our YouTube channel. Click here to subscribe.